Veterans’ Ride Connect is a ground-breaking cooperative agency of transit providers who work together to provide veterans with safe, reliable and local transportation services across eastern Oklahoma. Veterans’ Ride Connect mission is to provide veterans with safe, reliable and local transportation services. In the Vinita area, a veteran is helping provide these services. 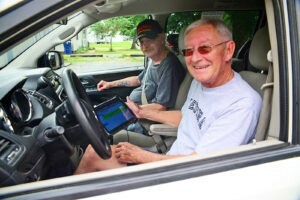 Army veteran Frank Riddle is a driver for one of the Veterans’ Ride Connect transit providers. Riddle understands how helpful transportation services are to his fellow veterans. All of the Veterans’ Ride Connect transit agencies use ADA-compliant vehicles, including mini vans and shuttle buses. 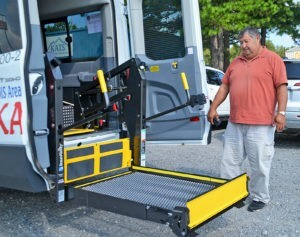 Its drivers are also highly trained in wheelchair securement and all other aspects of transit safety.